NOTE: Nominations for 2018 are closed. Thank you to all those who submitted recommendations! Concord TV Is Looking for Fascinating People, Businesses, and Organizations! ConcordTV’s live annual telecast CONCORD ON AIR is scheduled for Sunday, October 28th, this year – it’s one of our most exciting annual events; a live telecast about the community where the stars are the city of Concord and its citizens. The program will be the kick-off of ConcordTV’s 20th year as a media resource for the community! A special feature of the telecast is our spotlight on Concord’s “Most Fascinating Individuals” of the past year. This year, we’re starting the selection process a bit sooner, allowing more time to capture these amazing folks and their stories on video so everyone can appreciate their important contributions to our lives. Here’s where YOU come in: we’ve selected six community categories and we’d like you to recommend individuals in those categories for ConcordTV to consider for the honors. 1. Must be active in the Concord Community. 2. Must not be a staff or board member of ConcordTV. 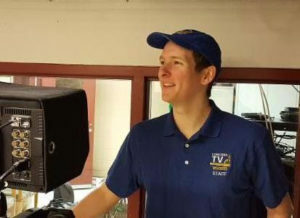 Notice of Concord Community TV Live Budget Presentation for Fiscal Year 2018-2019 and open Board Meeting on Monday, May 14 at 7:00 p.m. to be televised on Concord’s cable TV channels 22 and 6. Please note Channel 17 will carry the regularly scheduled City Council Meeting at that time. Public welcome to attend. 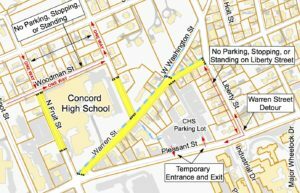 Concord Community TV will hold the presentation at its location in Concord High School, entrance D.
Starting Monday, April 16, 2018 the city will will begin work on the 2018 Water Main Replacement and City Pavement Projects in the area surrounding ConcordTV’s home, Concord High School. While this project will improve the city’s infrastructure, it will have a significant impact on those visiting our office and studios. • Warren Street will be closed. 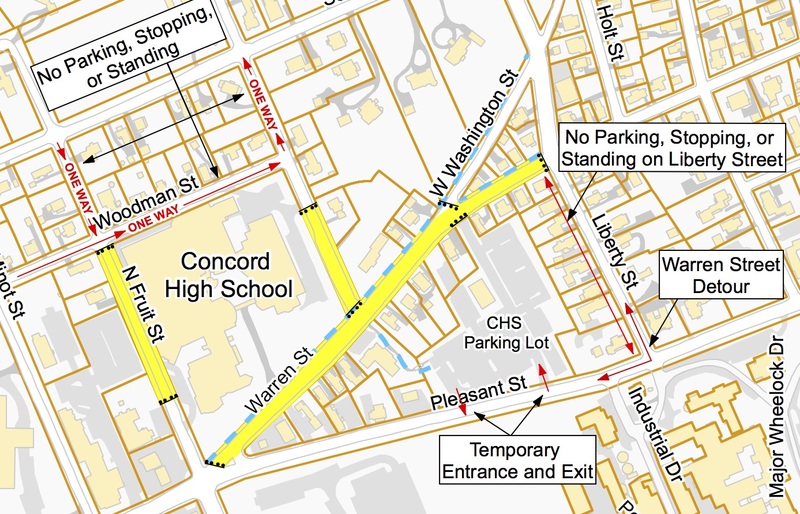 With Warren Street closed, visitors to the studio should use the temporary Pleasant Street entrance to the CHS Parking Lot, as seen in the map below. A full map of the construction area can be found by clicking here. A listing of all roads affected, and anticipated schedule, can be found by clicking here. If coming to the studio and have any questions as to how the project is affecting accessibility, please do not hesitate to contact us at 603-226-8872. ConcordTV’s 2016-2017 Annual Report is now available. The report highlights ConcordTV’s many activities throughout the 2016-2017 fiscal year, celebrating the accomplishments of the station, and its friends, with a month-by-month pictorial journey. We think it’s a lot more interesting than your average annual report! Click here to check out ConcordTV’s 2016-2017 Annual Report. Happy Holidays from ConcordTV and Our Friends from Across the City! It’s one of our favorite, and busiest, times of the year here at ConcordTV. With celebrations aplenty from Main Street to Penacook, and friends old and new visiting the studio to send greetings to all, we just love the holiday season! And we’re filming as much of the fun as we can. Of course, no holiday season is complete without a greeting from the staff here at ConcordTV. This year, we enlisted the help of friends from Red River Theatres, Intown Concord, the Concord Library, Concord Parks and Recreation, and more in putting together “It’s a Wonderful Station!”, our take on “It’s a Wonderful Life.” After Mike loses all of the stations money to greedy Mr. Potter, Josh wishes that he’d never become ConcordTV Station Manager. Can Emmett convince Josh otherwise, and earn himself a snazzy pair of running shoes in the process? Watch and find out! Other organizations from across the city got in on the holiday greeting fun. Whether involving simple best wishes, talking moose, or takes on “Miracle on 34th Street” (kudos to City Hall on that one! ), check out our playlist featuring many of your Concord friends. Concord likes trees. So much so, that city had TWO Christmas Tree lighting ceremonies, on City Plaza and in Pencook. We were at both, so if you missed them, be sure to take a look. For a lot of us, the holidays are about finding that perfect gift. And as the annual Midnight Merriment festivities remind us, one of the best places to find those gifts is our very own Main Street. If you need some shopping inspiration, look no further. And as we approach the end of this post, and the end of this year, we want to thank all of you for being part of our extended ConcordTV family. We honored to be a part of this community, and can’t wait to share even more about what makes it so great in 2018! Happy holidays from all of us at ConcordTV! Sign Up Now for ConcordTV Social Media Workshops! Facebook, Instagram, YouTube: three of the platforms every artist, business, or nonprofit should understand in order to share their message and grow their audience. This workshop covers the basics of these three social media platforms, where you’ll learn functionality, optimization and how to make social media part of your routine, without feeling overwhelmed. Friday, December 1st * 8:30 am to 12:00 noon * $25. Everyone has a story to tell about themselves, their business, their band. But how do you stand out in the multitude of social media platforms and endless video content begging for the attention of their audience? This workshop, while covering the technical aspects of recording / editing video, dives into the concept of telling your story with authenticity and clarity. Sign up by November 30th for both workshops and SAVE $25.00! 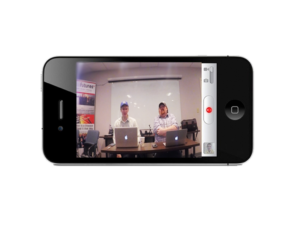 Want more one-on-one, in-depth training about the multimedia topic (social media, video, website, audio recording, Photoshop)? We offer 90 minute appointments that are scheduled with an individual staff member. Call us today (603-226-8872) to set up a time to come in! Introducing the “Dogs of Concord” Digital Shorts Project! The dog days of summer are here! Introducing the new digital series “Dogs of Concord” featuring local canines large and small. Stay tuned for new episodes every “Woof Wednesday.” We’re PAWsitive you won’t regret it! Special thanks to our underwriter, Sandy’s Pet Food Center of Concord. Be sure to follow us on Facebook and subscribe to us on YouTube for the latest “Dogs of Concord” and other videos. As we approach our annual Concord On Air event, we are proud to announce 2017’s Most Fascinating Individuals! Each of these MFIs, nominated by a member (or members) of the community, were selected from a group of outstanding 2017 candidates. You’ll be able to capture their stories during ConcordTV’s Concord On Air event, happening October 15th, 2017 from 12 – 8 PM. Taught for decades in the Concord School District and leader in the development of sports education and activities for all Concord area youth; passionate leader on the Concord School Board and beyond; Trustee of the State University System, and recently named the Friends of the Audi, 2017 Friend of The Year for her leadership in the Seat Restoration Project. Production and Facilities Director at the Capitol Center for the Arts for 20 years; passionate about Concord’s historic buildings; respected by artists, rental clients, celebrities and stage crew of the theatre for his extensive theatrical and production expertise. Eighteen year old leader in founding the National Concussion Awareness Day in partnership with the Brain Injury Association of America; appointed by Governor Sununu to continuing serving on the Youth Legislative Advisory Panel; logged in 2,000 lifetime volunteer hours; 3rd runner up to Miss New Hampshire, April 2017; winner of the Miss NH Community Service Award.